From the author of the internationally best-selling A Man Called Ove, a charming, warmhearted novel about a young girl whose grandmother dies and leaves behind a series of letters, sending her on a journey that brings to life the world of her grandmother's fairy tales. When Elsa's grandmother dies and leaves behind a series of letters apologizing to people she has wronged, Elsa's greatest adventure begins. Her grandmother's letters lead her to an apartment building full of drunks, monsters, attack dogs, and totally ordinary old crones but also to the truth about fairy tales and kingdoms and a grandmother like no other. 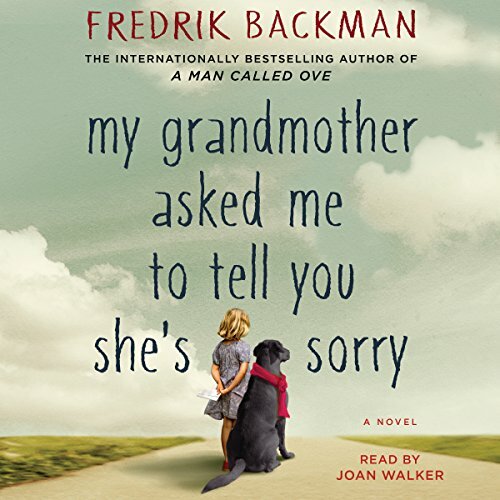 My Grandmother Asked Me to Tell You She's Sorry is told with the same comic accuracy and beating heart as Fredrik Backman's internationally best-selling debut novel, A Man Called Ove. It is a story about life and death and an ode to one of the most important human rights: the right to be different. ©2015 (c)2015 Fredrik Backman. All rights reserved. English language translation (c)2015 Henning Koch. All rights reserved. (P)2015 Simon & Schuster, Inc. All rights reserved. I'll read anything by this author; he's that good. Just buy this and enjoy it. I love A Man Called Ove more than this, but this one is charming and sweet and delightful as well. 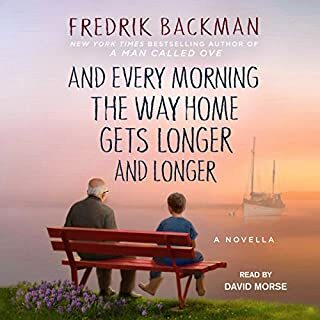 I love Fredrik Backman's writing style. He has a way of painting a picture on the surface then diving in to show you just how wrong your assumptions can be. His characters are interesting, flawed, loveable and real - with a great similarity to people you've known in your own life. He has a special way of showing what makes us who we are. Both of his books have been absolutely terrific listens - enough so that I've now listened to both of them twice. The first time through I had to find out what was going to happen. I was totally engaged in the story. The second time through I wanted to enjoy his talent as a writer and the pure enjoyment of a perfect narration. Starts slow, but you are going to love it! I read this as soon as I finished A Man Called Ove. 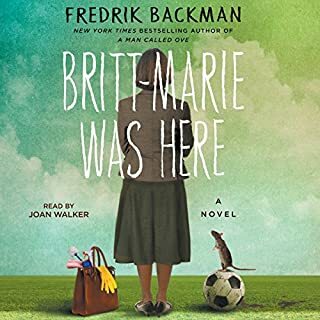 Backman has an exceptional talent of description using the most incongruous elements which adroitly fill your imagination with exactly the image required (you laugh out loud despite the tears in your eyes with your identification with imperfect upbringings). 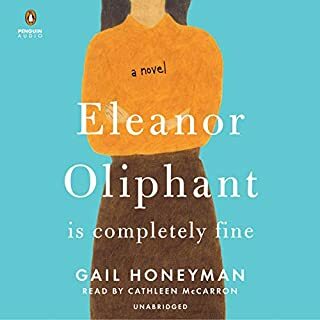 This book first introduces you to the harsh and easily judgmental view of the characters that would be easily reached upon superficial evaluation, and then leads you to a far more mature and intelligent understanding of their foibles and their heroism, all told in the voice of a painfully precocious, "almost 8 year old" girl. Your understanding of the characters deepens, even as they themselves continue to develop with his talented hand. Though told in the voice of a child, do not mistake this for a children's book, even as you wish you would have read it far earlier in life! If you're looking for a magical read to remind you of the importance of family, this is it. An engaging story with its own little mysteries, My Grandmother Asked Me to Tell You She's Sorry, reminds us all that life can be one big fairy tale. Truly an engaging book with many lessons wrapped in a wondrous story. What made the experience of listening to My Grandmother Asked Me to Tell You She's Sorry the most enjoyable? What was one of the most memorable moments of My Grandmother Asked Me to Tell You She's Sorry? The opening story when grandmother had taken Elsa to the zoo in the middle of the night; Elsa discovering Alf was cool; can't give away the plot with other best parts! Many. This is a quirky story and probably not for everyone! But Ove was a quirky story too. I'd say this is even more off the wall but it has the similarity of discovering the real people behind the veneer of neighbors and I like that concept a lot. At times I was a bit bored with the fairy story parts, that is the parts that were pure fairy story but they were kind of important so sometimes I had to listen twice. That's why I thought reading it with my granddaughter would have kept me alert when my 67 year old self was drifting away from the-land-of-almost-awake! Ideally I would give it 4.5 stars. I did love it. It was touching, and wise, and nothing was there that didn't belong and the characters were beautiful and complex.Don't be scared by the reviews that dis the fairy tale aspect, it is not confusing at all and it all weaves together so graciously. Loved A Man Called Ove as well, I will listen to the rest of this author's titles. I picked this book because I thought a man called ove was spectacular. I wanted to read anything else by the author and downloaded this book with out evening reading the description. I was extremely disappointed. 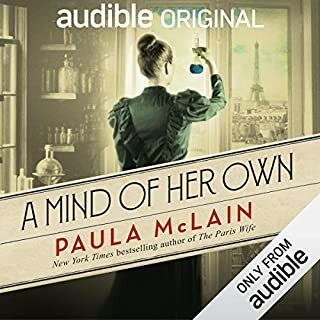 It's probably my least favorite book I've listened to. The story had way too much fairytale stuff and just simply boring. I felt like there was so much unnecessary dialogue and the story seemed to drag on in an attempt to make the story longer. I would not recommend the book to anyone. I have to preface this review by saying that I am not a fantasy lover. I have tried the genre several times, always convinced that this time it will be different, only to find I can't continue. I really had no idea how much fantasy was in this story when I started my listen. Yes, there were times when I contemplated quitting and felt quite disappointed. But, something kept me hanging in there. I did finish this book and am so glad I did. Sometimes we just need to push ourselves to do something that is not in our comfort zone. I have always found this to be good for me. What initially kept me invested in this story was Joan Walker's amazing narration. She is truly a genius. As far as the story line, I found myself more and more invested in the many interesting characters and events as time wore on. Elsa, of course, was my favorite. As an almost-eight-year-old girl, she had wisdom beyond her years, as some children do in reality. Yet, she was still a vulnerable little girl whom I worried about and who still made me chuckle and laugh at times. And strangest of all, I admired her and wished I could have been more like her as a child! If you could call this an adult fairy tale, it is surely the best of its kind. 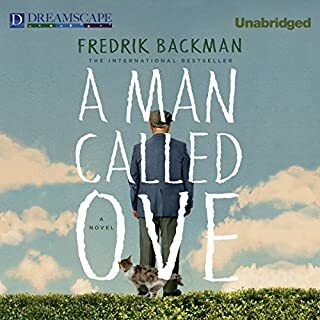 Fredrik Backman is a very special author and man, and I only have positive thoughts about his writing, this current book and the previous, "A Man Called Ove", which I tremendously enjoyed. If you are sitting on the fence about this book, let me suggest you go for it! I really enjoyed. The story started off a little slow for me and was not sure whether I was enjoying. So very glad I kept listening. Thoroughly enjoyable story. I became invested in all the characters. It was so good how the story of each character unfolded. Honestly did not want the story to end. Narration was excellent. 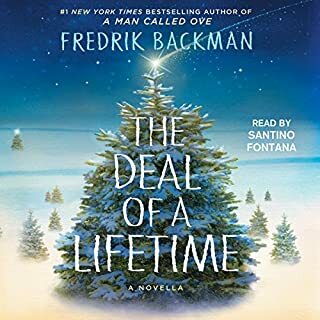 Backman's writing is magical - I love the eccentricity of his characters, his ability to reflect this crazy world and to populate it it with unlikely yet everyday heroes. In Ove's story the cat rules but here we have a true canine hero and a grandmother that any little girl - especially a different little girl - needs and deserves. Bravo! This charming, funny, sweet and tough book is bought to life poignantly by the exquisite narration. Gripping.